Organising an event or gathering? Need a space to keep all your guests warm and dry? Looking to add some temporary event space to your premises? Or maybe you just need the perfect venue for your wedding or anniversary party. Here at Weatherill Brothers, we offer a comprehensive selection of marquees for rent, suitable for a wide range of uses and to fit any size. Whatever kind of canvas marquee hire you’re looking for, get in touch with our team and tell us what you need. Whether it’s short-term or long-term, for storage or fun, we’ve got a range of marquees to suit your needs. 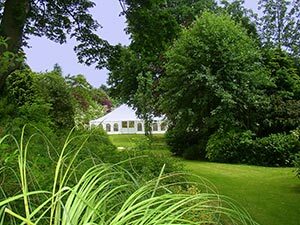 A beautiful summer wedding or unforgettable garden party – these are just two of the many uses for short-term marquee rental. Our experienced team can design a marquee that fits the available space, and we can also provide all the additional extras such as bars, dance floors, terraces and more. Looking to add some summer space to your function area, or cater for bigger parties for corporate events or weddings? Then don’t bother with time-consuming planning permission or costly construction – add the space with a marquee.